Today, your body must work hard. Swimming, yoga, weight training — anything but lying on the couch. The health horoscope for Scorpio encourages you to be particularly active, and any activity will be useful. You can do general cleaning at home or go for a walk — the main thing: be on the move. 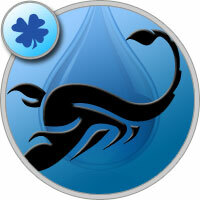 The moon in the sign of Scorpio is not the best time for dramatic changes in life. During this period, you must be prepared for everything: maintain self-control and calm. To strengthen the nervous system will help the flavors of cinnamon, mint and sandalwood.